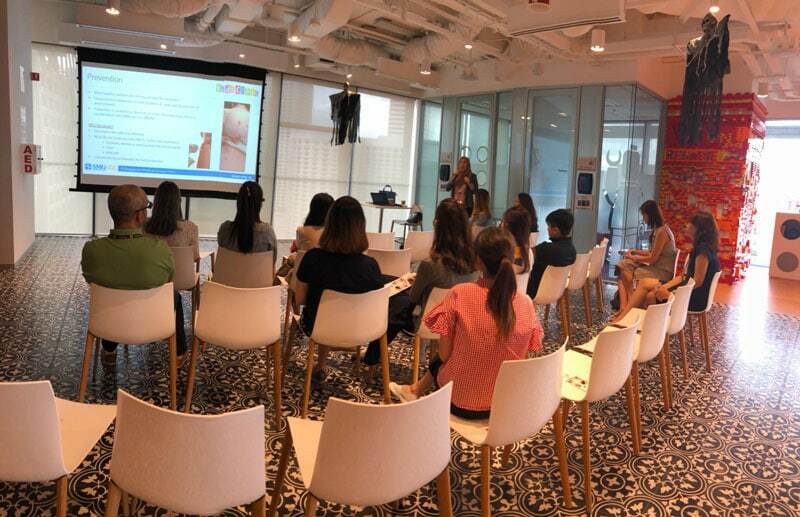 Dr Mas Suhaila from Kids Clinic @ Bedok was at the Lego office on 31st October to share with the fun parents of Lego on common childhood infectious diseases and how parents can prevent them. She touched on conditions such as Chicken Pox, Influenza, also known as the flu, and Hand, Foot & Mouth Disease (HFMD), also known as Herpangina. While mums in the past might have held “chicken-pox parties” to let their children get chicken pox earlier, Dr Mas shared that there are now safe vaccines to protect against the Varicella Zoster virus that causes chicken pox. The vaccination could potentially spare your child from the blisters and itching that comes with chicken pox, and potential severe complications, which while rare, affect a small percentage of children. As for the flu, Dr Mas highlighted that the symptoms are significantly different from the usual cold. It is also contagious, and she advised parents to keep their children at home if they are down with the flu, rather than bring them to school where they could spread the bug to other healthy children. A possible prevention measure that parents can take would be to bring their children for an influenza vaccine shot. While temperate countries have seasonal incidences of influenza during the winter months, tropical countries like Singapore have year-round incidences of influenza. Doctors usually observe higher incidences during the rainy months of Singapore. If you are interested to know more about vaccinations for your child, you may consult any of our friendly paediatricians from Kids Clinic. Take an active step to protect your child from preventable infectious diseases today.